In California, over 90% of the historic wetlands and 95% of the historic riparian areas no longer exist. Gray Lodge is one of few places in California that provide this irreplacable habitat. Background: Gray Lodge Wildlife Area is a spectacular, seasonal wetland, located 5 miles north of the Sutter Buttes. Wintering waterfowl, which includes over a million ducks and more than 100,000 Ross' and snow geese, enjoy loafing on the shallow ponds of this 9,200-acre wildlife area. Occassionally, muskrats and river otters are seen swimming through the deeper waterways. American avocets, western sandpipers, and other shorebirds can be seen feeding near the mudflats, especially in the spring and fall. Cattail-lined sloughs shelter pied-billed grebes, white-faced ibis and black-crowned night herons. Our upland fields and tree-lined canals provide habitat for warblers, red-shouldered hawks, ring-necked pheasants, tricolored blackbirds and much more. You may even spot some of the nocturnal life, such as barn owls and black-tailed mule deer, some of which are albino. Riparian - 05%, plus delivery ditch, natural slough and creek banks. The Experience: In California, over 90% of the historic wetlands and 95% of the historic riparian areas no longer exist. Gray Lodge is one of few places in California that provide this irreplacable habitat. This is especially important to the wintering migratory waterfowl, as they journey to their wintering grounds, in the Central Valley of California, by the millions. Wildlife and Where to Find It: Auto-loop - 3-miles, relatively level, gravel roadway. Autos only from two weeks prior to waterfowl season on the Area to one week after waterfowl season on the Area (roughly October-February). Refer to the CA Dept of Fish and Game, Waterfowl Hunting Regulations for exact dates. Autos, bicycle and pedestrian access on this route after the restriction is lifted. Self-guided Nature Trail - 0.6-miles round-trip, easy stroll, pavement, gravel and elevated wooden deck. Complete with an interpretive brochure and trail plaques, this trail leads to a viewing platform, overlooking a seasonal pond. Wetland Loop Trail - 2.0-miles round-trip, easy stroll, gravel. This gravel, levee trail winds through the sanctuary, leading to two wildlife observation hides. Exhibit Museum, by our main viewing lot, # 14. This is a good way to discover wildlife close-at-hand, through taxidermy mounts. Bird and mammal species are on display. Museum hours are 8am-3pm Fri-Tues, closed on most holidays. Viewing Tips: More than 230 bird species use the area through the year, with a Christmas bird count of more than 125 species. There is a high probability of seeing waterfowl, sandhill cranes and shorebirds in fall and winter. Some species, such as mallard and great blue heron, nest on the Area in the spring and summer. Songbirds and wading birds are seen fall through spring. Look for birds of prey year-round. Gray Lodge offers many viewing experiences, such as our exhibit museum, self-guided trails, viewing platform, viewing hides, seasonal guided tours and excellent car viewing. Site Notes: We hope the visitors will appreciate the beauty and understand the importance of a healthy freshwater wetland. Seasonal: Designated wildlife viewing areas are open year-around, including walking trails and an auto-loop. Portions of Gray Lodge are closed to all non-hunting uses from two weeks before waterfowl season on the Area to one week after waterfowl season on the Area (roughly October - February). 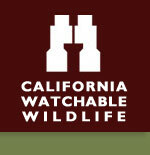 Refer to CA Dept of Fish and Wildlife, Waterfowl Hunting Regulations for exact dates. Parking Notes: On the one-way auto-loop, cars may pull to the shoulder, with caution, to allow cars to pass. With wet weather, some shoulders can become very soft. Special Tips: Regional wildlife festivals provide a perfect opportunity to enjoy guided tours of Gray Lodge. Snow Goose Festival of the Pacific Flyway in Chico. A 9,200-acre expanse of protected wetlands offering trails, bird-watching, fishing and hunting. How to Get There: From north (Chico): Take HWY 99 south to Gridley. Turn right (west) on Hazel St, continuing 1 mile. Turn left (south) on W Biggs-Gridley Rd. Continue 1 block, then turn right (west) on Sycamore St. (Gridley-Colusa HWY), and continue 5 miles. Turn left (south) on Pennington Rd, driving 3 miles, then right (west) on Rutherford Rd, the entrance to Gray Lodge. Distance from Gridley about 9 miles. From south (Sacramento): Take HWY 99 north to Live Oak. Turn left (west) on Pennington (North Butte) Rd, following 8.5 miles. Turn right (north) on Almond Orchard Rd, continuing 1.5 miles, then left (west) on Rutherford Rd, the entrance to Gray Lodge. Distance from Live Oak about 10 miles.